Ideal for classic cars | soft tops | boat covers | awnings | cratch covers etc. Includes 6 studs, 6 screw studs, flaring tool, base and guide. Ideal for the repair of classic car soft tops | tonneau covers | boat covers | trailer covers. 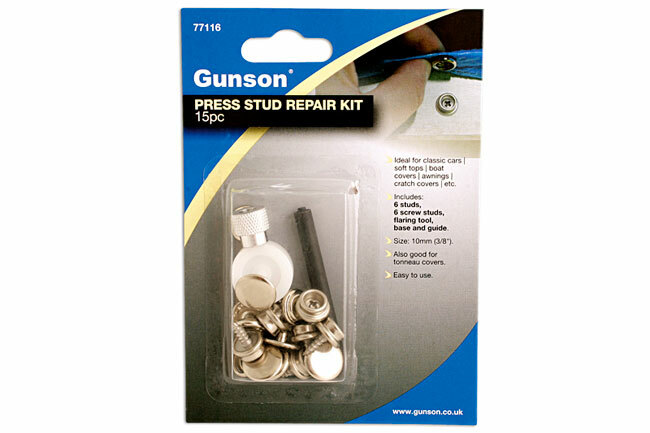 This new kit from Gunson (part number 77116) offers a quick and easy method of fitting the traditional metal press studs to a variety of materials and is ideal for classic cars, tonneau covers, boat cratch covers, or any application that needs a quick, reusable fixing. 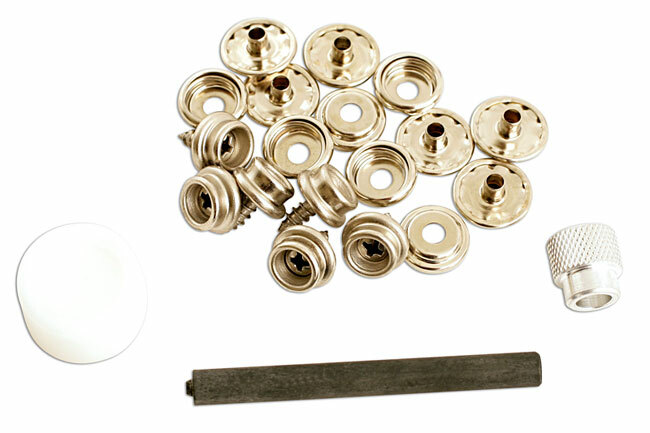 The kit includes a punch and die and a quick hammer blow securely fastens the stud cap to the material; the stud can be screwed or pop-riveted to the substrate. 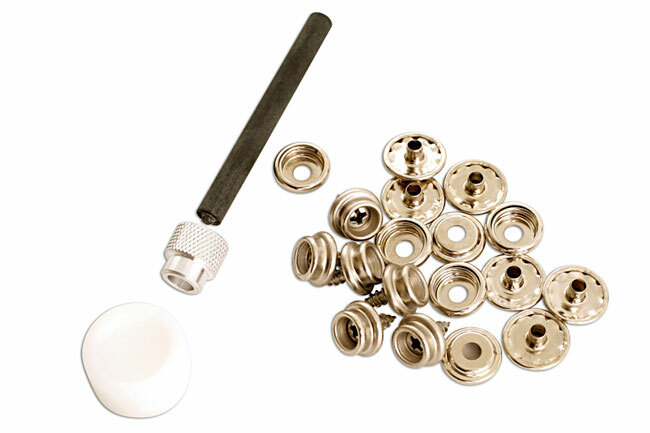 Standard 10mm / 3/8" size so broken or missing existing stud caps can also be replaced. 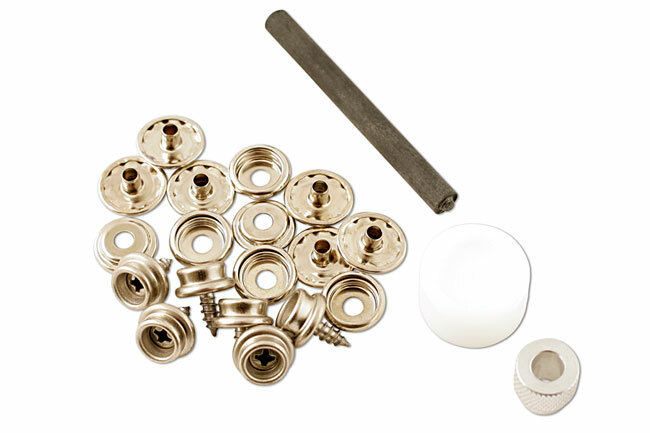 Six stud caps, studs and screws and full instructions are included and the kit is very easy to use — a professional result is assured. Terrific value and available now for a typical price of £7.88 but remember to check your local supplier for the best prices and special offers.